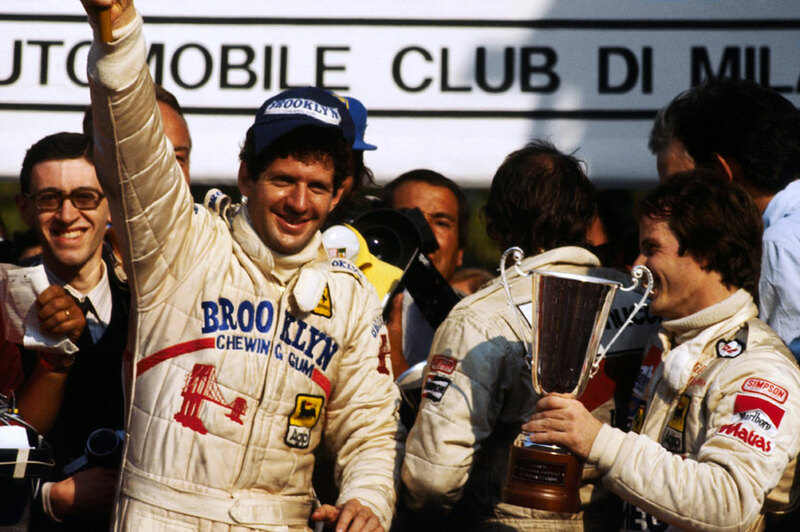 Jody Scheckter won his first world championship in a fitting way as he swept to victory in the Italian Grand Prix at Monza. To the delight of the huge partisan crowd, his Ferrari team-mate Gilles Villeneuve finished second to complete a perfect weekend. The rather odd points system introduced at the start of the year meant that only the best four races from each half of the season counted. This meant Scheckter, who had scored two early wins and picked up points consistently, had a healthy lead over Alan Jones whose Williams had only came good late on. By winning in the way he did, however, Scheckter underlined his credentials. The weekend started with reports that 40-year-old Jackie Stewart was seriously considering a million-pound offer from Ken Tyrrell to return to the sport in 1980. "I have to be responsible enough to weigh up the pros and cons," Stewart said. "I have to put everything into the melting pot and come out with what I want." And what he wanted was to stay retired. The powerful Renault turbos of Jean-Pierre Jabouille and Rene Arnoux lined up on the front row but, once again, both were slow off the line, allowing Scheckter to take the lead with Villeneuve third. Arnoux regained the lead on the second lap before an electrical fault on the 13th lap caused an engine misfire and eventual retirement. Scheckter actually won the title mid race when Jacques Lafitte, the only man who could catch him, retired his Ligier with a blown engine. As his brakes failed he tried to use the engine to slow the car but over-revved during a gear change. Alan Jones, so dominant with three wins on the trot going into Monza, made a poor start and dropped right back down the field after pitting for a battery change. Despite breaking the lap record several times as he fought back he could do no better than finish ninth. His team-mate Clay Regazzoni did the fastest lap of all on his way to third, but was involved in a row with Nelson Piquet after an incident on the second lap where Piquet claimed he had been forced off the track into crash barriers which broke his Brabham in two. Villeneuve shadowed Scheckter all the way to the finish but stuck to team orders and did not attempt to pass. Scheckter thanked him for his "sporting spirit in helping me win the championship". He added: "Once I knew that Lafitte was out, I just wanted to get the job over and done with."